Understanding how shielding protects you from energy in the area lets you make better shielding. Many sites tell you to “visualize a bubble of energy around you.” That’s like heating your house without closing your front door while you cook food in bear country. You’re still letting outside energy in, and you’re broadcasting yourself to aggressive spirits. Here’s everything you need to know to shield yourself right, with example visualizations. It’s targeted at beginners just starting with energy meditation. A friend has been trying your beginning exercises. As they become ‘more open’ to energies around them and make basic connections to things, they are getting lots of ‘incoming noise & emotions,’ which can be distressing. Does learning energy meditation help to mitigate the incoming overload or should they be looking at shielding methods similar to your ‘cap a connective link’ in the attack/defense posts? Thanks for the great question, Kol! (Read the original, un-paraphrased version here). Kol’s intuition is correct: You need shielding, not just energy, to protect yourself. The techniques in the post he referenced will solve this problem, but they’re pretty advanced for someone just starting with energy meditation. Since you only need to block unfocused energy from untrained people, rather than attacks from spirits, the shielding in that post is overkill. Here’s a simpler method. It won’t stop a trained mage or spirit. But it will help against untrained energy drainers* and the overload you can get from ambient energy in the area. *Sometimes called “psychic vampires.” I think the name is too flashy for such basic magick. Energy moves like heat, flowing from hot (lots of energy) to cold (little energy). But it’s not that simple. Heat is monolithic, while energy has different types (called signatures). Building a lot of energy with one signature won’t prevent energy with another signature from entering you. If your body has energy with signature A, and the area around you has energy with signature B, you will radiate your energy A and absorb the ambient energy B of the area. Nerves, in particular, are sensitive to energy signatures. Absorbing the area’s energy B will change the state of your nerves, leading to headaches, fatigue, and other problems. You can absorb energy B but resist the changes by flooding yourself with energy A. But that’s like pouring water into a bucket with a hole in the bottom. As a beginner, you’ll want to go unnoticed by spirits who want to drain your energy. It’s much easier than fighting them off. Countering the effects of the area’s energy by flooding yourself with energy will also push your energy into the area. This is very noticeable to draining spirits, and will probably lead to more problems for you. You can avoid this by closing your connections before balancing your energy. Like keeping your house warm in the winter, you use insulation to keep most of the cold out, and you use a furnace to counter drafts and the natural loss of heat through your walls. You block energy by closing your connections. Both connections you intentionally make and connections that are passively open by default. You counter energy that gets in by building your own energy, in your own signature, to keep your body in its normal state. You might also dissolving energy that enters you. See “Example Visualizations” below for some ideas on how. Grounding is releasing energy from your body back into the environment by opening your connections to let energy flow freely. It’s a common way to handle having too much energy. Grounding works well if you caused the overload by building too much energy in yourself. Like opening a window after a hot day to let the cool night air in. But grounding will not help if the energy in the area is the problem. You will just let more energy in. Don’t ground until you’re out of the situation that’s overloading you. Some energy workers may find their grounding visualization helps in all situations. Remember, visualizations just communicate intent to your unconscious. Through practice, your unconscious can learn that the grounding visualization means “normalize my energy,” and figure out the right way to handle it in different situations. But you’ll have success faster by using visualizations more aligned with what your unconscious mind actually needs to do. Here are some example visualizations drawn from what I used to do, from adapting what I do now, and from friends. Feel free to use them, change them, or throw them out. Remember, visualizations aren’t what’s actually happening. They’re just a way to communicate intent to your unconscious. At first, practice at home when you can focus. Once that becomes comfortable, practice using them when you’re out and feel energy bothering you. Imagine connections as very fine tubes, like hollow hair, poking out of pores in your skin. Imagine pulling the hairs back inside you, and each pore closing. Imagine a geodesic dome made of triangles, with some triangles open. Close them. Imagine a small glow inside you, just enough to make your body glow faintly. If you feel outside energy bothering you, imagine that as a different color, and imagine your energy pushing it out, dissolving it, or eating it like Pacman. Imagine a dim light coming from inside your geodesic dome, doing the same things. Avoid visualizing bright lights. Too much energy of any type will give you a headache. Avoid extending the light outside you (or whatever symbolizes you, like the dome). Sending energy out will broadcast you to energy draining spirits. Your shield is only intended to stop ambient energy from untrained people, not a hungry spirit. If you get a headache, ground (release the energy). If you’re in an area with energy you need to shield against, only open your shield a bit (a few pores, or one triangle) so you don’t flood yourself with the area’s energy, or the area with yours. Every time you connect to something, withdraw the connection when you’re done. Reverse the visualization you used to make the connection. Otherwise, your connections are hanging out in the world, leaving openings in your shielding and inviting spirits to trace the connection back to you. This post was in response to a reader’s comment. Leave a comment on any of my posts. I’ll reply, usually within a day. As a pure beginner, I don’t have much idea on how all this works, but your posts on energy meditations have been a big help. I’ve only tried them a couple of times so far, about 10-20 mins at a time, but each time I do them I feel a strange cold sensation in my chest and back, like when you put Vick’s on your skin. Does this mean I’m doing something wrong or backwards? Hey Jared, it sounds like you’re doing it right. The particular physical sensation of energy varies from person to person, and from energy to energy. It all depends on the energy’s signature (think of that like the type, or color, or vibration, whichever makes sense in how you conceptualize energy). Different signatures cause different feelings, and as a beginner, you can’t control the signature yet. So basically, feeling anything at all means you’re doing it right. Try this: Get yourself into a different emotional state (watch a movie, look at old photos, whatever), then do the energy meditation. Hold onto the feeling while you do the meditation (look at the photo, remember the movie, etc). The emotion should cause you to produce energy in a different signature, which should feel different. The new visualization worked somewhat; I watched a video and started doing a meditation, and started to feel warmth, but it was very faint. The cold feeling was a lot stronger. For this reason, do you think I should keep doing what I’m doing and come back later? Thanks by the way for the quick response. Do that with the energy meditation that’s working well for you (the one producing the more noticeable cold). Give that a try, and I’ll put up a more thorough response tomorrow. Thanks for the tip. So do you think I need to build up more energy, or something like that? TBH…I don’t know the first thing about chakras. Where can I go to get some more info? Chakras can be defined as “force centers” or “energy centers” in the physical body that receive and transmit energy. This definition is a loose translation from Kundalini ( Yoga) practice. During my first year of serious study, I did the Tree of Life Ritual by Regardie two or three times a week for about 4 to 5 months. I think this ritual helped me develop the basic structures in my brain which manage energy production. ( book at http://www.amazon.com/Tree-Life-Illustrated-Study-Magic/dp/1567181325/ref=pd_sim_b_1 ) Once these structures were more developed, I was better able to understand and use the practices Mike describes on his blog. Don’t worry right now that your energy isn’t “warm” like everyone else’s. You are making and noticing energy which is an fantastic step. Thanks! I’m glad it’s helping. Thanks for taking the time to write and let me know. 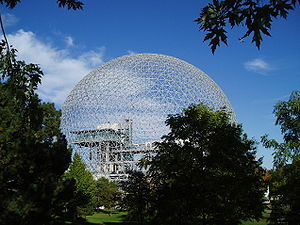 Should the geodesic dome be surrounding you (in order to relate it to connections coming from you), or is it best to just imagine it as a geodesic dome floating in a black background? The connections covering the skin sounds weird to me so i prefer the dome! The goal is to communicate your intent — “Shield me by closing any holes / open connections” — to your mental muscles. So, use whichever of those visualizations do that for you. Personally, I’d imagine myself sitting somewhere, with the dome forming around me, seen from the 3rd person perspective (like I’m watching the scene from the outside). But that’s just me — a different visualization might communicate that intent better for you. As a reiki practitioner for many years, I’d never found the “energy bubble” method effective for me. Stuff always seemed to get in. It was only after reading your post that I finally got it. 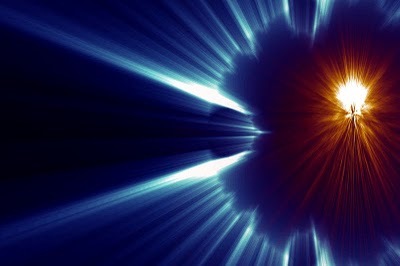 I imagined closing the “blast doors” all over my body, very much like spaceships do in my favorite sci fi shows, and focused on removing connections wherever I felt a blast door was “jammed”. Thanks for your encouragement to try things and see what visualizations work! In agreement with your description of the downsides of the “energy bubble” visualization, I’ve always felt there were other things about it that make it very inefficient and dangerous. First of all, you are expending a larger amount of energy in order to keep that bubble sustained as opposed to your “cut the connections” technique. Your technique is the scalpel; the bubble is the sword. Secondly, I equate the vulnerability of the bubble to something that I had learned about submarines in the ocean: if you make the submarine too quiet, then it can be discovered by the lack of a sound signature in that area. Similarly, an energy bubble creates both an energetic barrier and a dead spot within. Curious spirits would most likely know to target that area. I hadn’t thought about making a signature that’s “too quiet,” but that’s interesting. Indeed, my normal goal is to match the signature of the surrounding area. Thanks for writing, and for the interesting analogy. Mike, i love this blog. i have had different experiences of thought magic but can’t call myself a master though i look forward to being a mage. In my experience, i could invite an angel ( i mean Angel ) not demons but my challenge is communication. I find it difficult to understand their reply to my Q. and i know they want to talk. They had been very friendly, i can tell you a secret, i will whisper it ( they drain me a lot though they never meant to hurt me. Kindly help me with details on better commune with spirit or outside energy, then i’ll relate it to my style of meditation. Believe me my style is very diff. from what every body practice. I will appreciate a reply. Thanks, glad you’re enjoying it. As for spirits draining you, I normally refuse to work with those spirits. Especially if you can’t clearly communicate, what value are they providing you? I’d try to find spirits who want to work with me, rather than spirits who want to drain me. Hope it helps, and welcome to the blog. How is your book going by the way? Im looking forward to it! Always nice to hear from an excited reader. The book is going well. You can see the work in progress under “books” in the top nav bar. Hey Mike I am new on this site, but have worked with both energy and magick (consciously) for some years now, and i find that many of the things you explain is identical with what i have experienced my self. Instinctively perhaps ;)? So i love what you do!! It has led to great improvements in my case and i am very grateful. But in context to this topic, is i am not sure if i am doing it right. i kan feel the “shever” and “tingling” through my skin (mostly with my hands, arms and the skin on my face) when i senses energy. This “tingling” is that a lot of small connections from my nerves (like a magickel connection)? and is it them that you want me visualizing as hair???? Because all I am getting by that is like the intensified feling of energi all over my body. Is that doing it right ?? And sorry but am i wrong by sensing your energy through my computer ??? I’m not much for visualizations, because what speaks to my unconscious might not speak to yours. But the idea behind the hair is that it goes through the skin, so it’s suggestive of how connections enter your body. In this case, the hairs are your connections, and you would withdraw them, so they’re not connecting out to anything anymore. And yes, it’s common to feel connections from writing. These are probably not direct connections to me, but would be connections to some ethereal software that manage some aspects of direct magick. Hope that helps. This post is a little old, so I don’t know if you will see this. But thanks so much for this article. For the last 10 years of my life I a been connected to various entities , unintentionally. I found out about the energy barrier as a means mitigating this in a time where it was a but overwhelmed and desperate and was immediately attacked by something pretty frightening. (I can share details if you like.) But this barrier method makes so much more sense for some one like me who is finally coming to terms with the fact that these experiences are not just fabrications of a crazy imagination. This is probably one of the most important things I have learned in a long while. Thanks again. Thank you! I’m so happy to hear this is helping you. Thanks for taking the time to write.